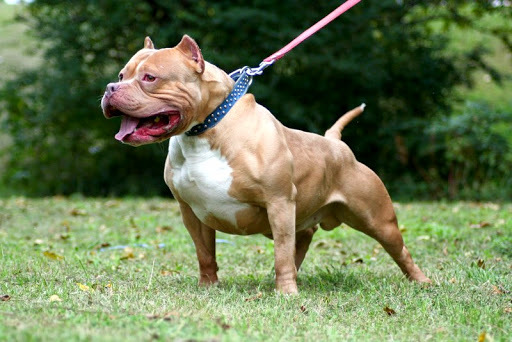 HARTFORD, Conn. (AP) - A state lawmaker is introducing legislation that would bar insurance companies from inquiring about or discriminating against a "bully breed" dog when issuing a homeowners' insurance policy in Connecticut. Republican Rep. Brenda Kupchick of Fairfield said constituents have difficulty getting a policy if they own dogs such as pit bull-type terriers or Rottweilers. Some say they must pay higher rates or lie about the type of dog they have. Such breeds may prompt insurers to charge higher rates, cancel a policy or refuse to write a policy. "There are people who literally will have their insurance dropped because they have a certain breed of dog, which I think is ridiculous," said Kupchick, who has several beagles. Eric George, president of the Insurance Association of Connecticut, a trade group and lobbying organization for insurance companies, said insurers charge higher rates for certain dog breeds because the liability is greater. If such a law were enacted by the Connecticut legislature, it would likely push up all homeowners' premiums to subsidize the few that might own dangerous dogs, he said. Without appropriate premiums from more risky claimants, "costs are going to have to be allocated everywhere," George said. Dog bite claims accounted for more than one-third of all homeowners' insurance liability claims paid in 2013, according to the Insurance Information Institute. Michael Barry, spokesman for the Insurance Information Institute, said home insurers ask about dog breeds "for the same reasons they ask about whether you have a swimming pool or a trampoline" - because the liability is higher. Rep. Robert Megna, co-chairman of the Committee on Insurance and Real Estate, said competition will act as a brake on rising costs. "Wherever your home is, there's 60 companies that you're going to be able to buy insurance from," said Megna, a New Haven Democrat.